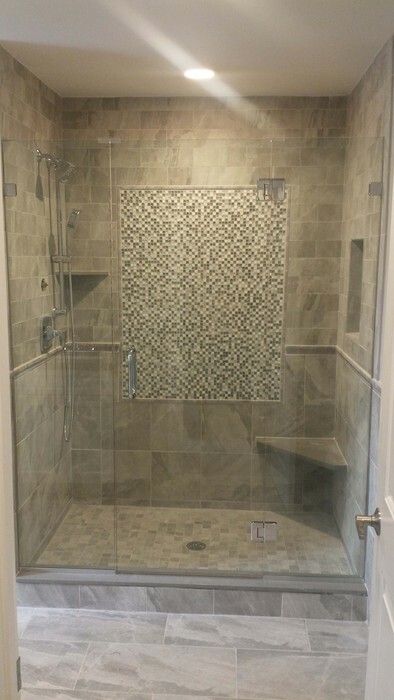 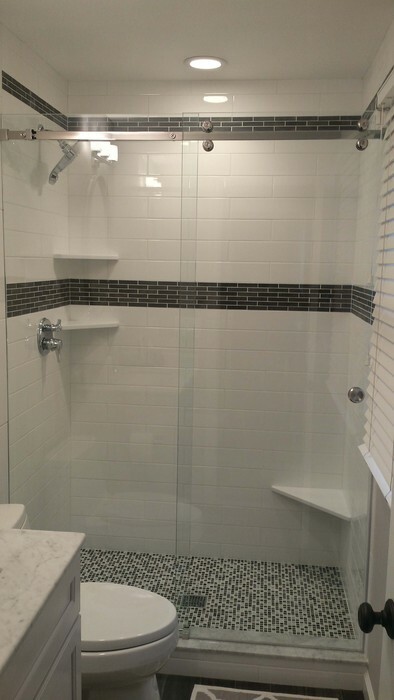 An in-line frameless shower enclosure is made up of a shower opening that has three walls of tile and one “inline” opening space. 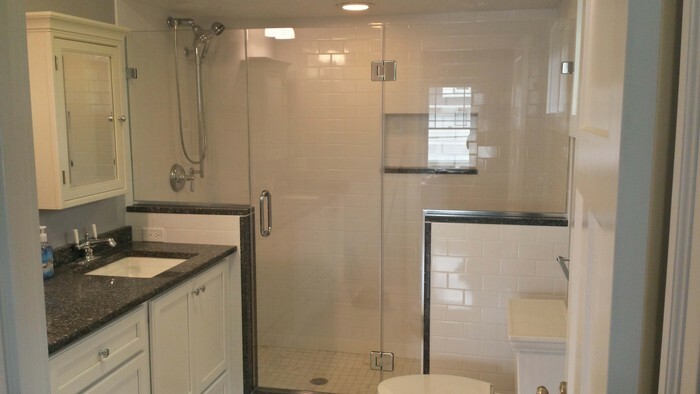 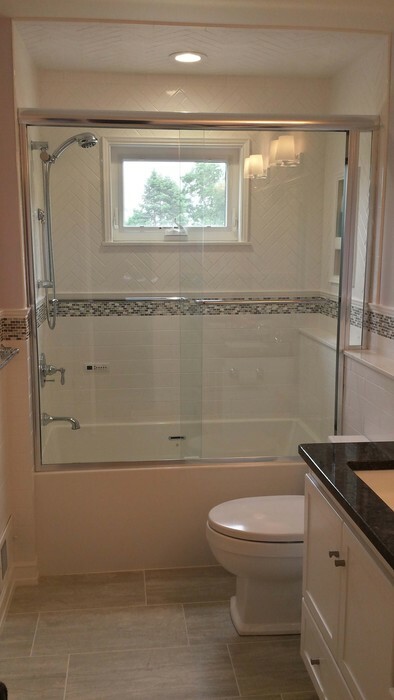 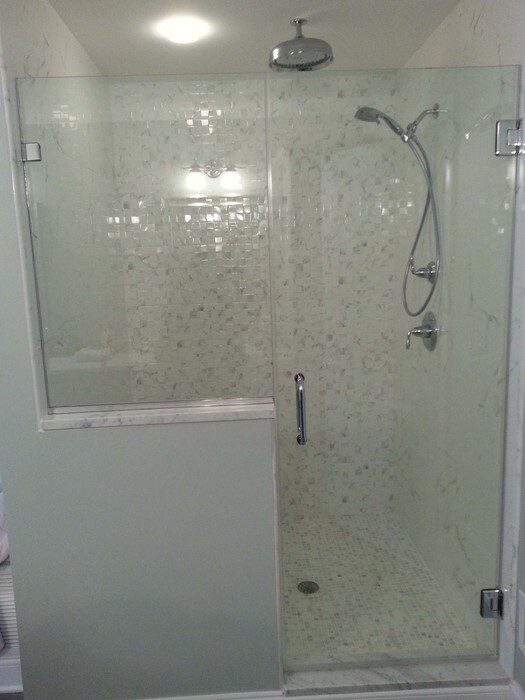 Any combination of glass doors and panels used to enclose the shower space will be side-by-side. 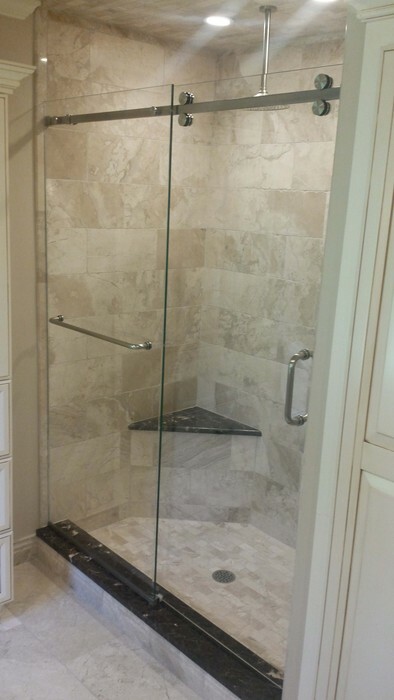 A double or bi-pass sliding shower door is the most common inline shower enclosure. 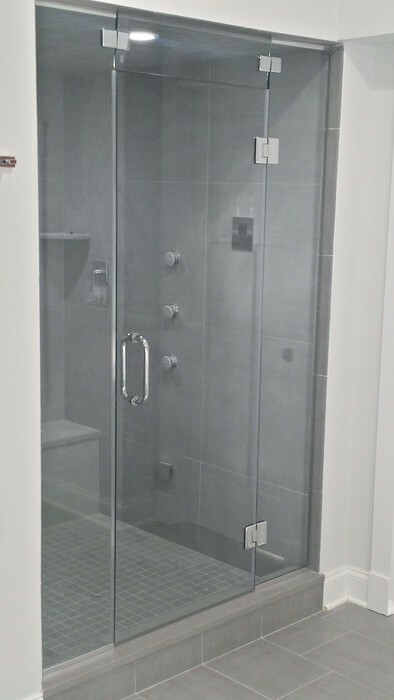 Another becoming more popular in-line shower enclosure is a barn style sliding door and fixed panel, this is where one door slides behind a fixed panel. 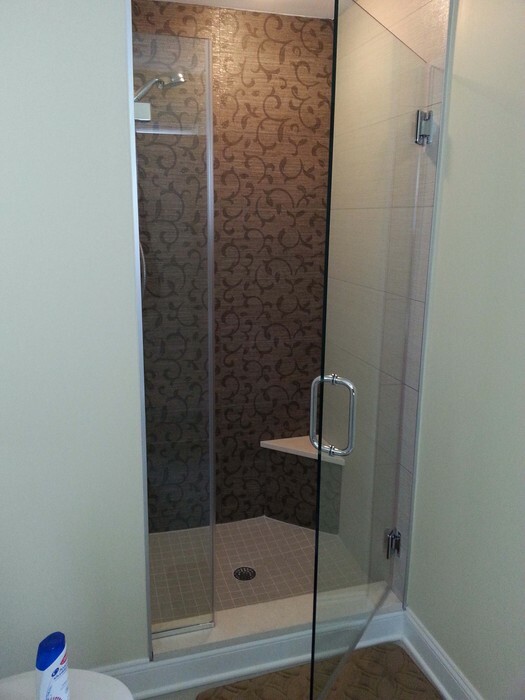 A hinged door and panel(s) can also be in-line, using glass to glass hinges or wall mount hinges. 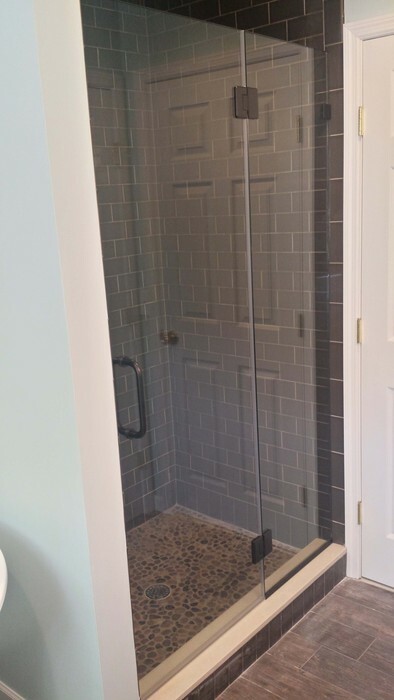 Most cases the maximum door width is about 28 inches.